Wow! Thanks so much! That actually explains a lot of things for me. Especially possibly having incarnated with the connection to the 4D. I’ve always been mind-boggled about why I’ve always had to deal with things other people never seemed to have to deal with, my whole life. And why this “dealing” with things never seemed to ease up for me. As soon as I cleared one thing, the ‘sh**’ would hit from another direction, without pause. It seems my whole life, my sole purpose has been to just clear garbage out. I do see the scheme behind it now, but I tell you, there have been plenty of times when I’ve been on my knees, looking up into the sky, literally begging to be taken back home. In regards to your question. I don’t have any siblings, and I have dealt extensively with my maternal relationship, as well as the absence of a paternal relationship. I feel I have been up and down that road so many times now, but as you say, if the full integration hasn’t happened yet, then there must still be something I haven’t uncovered. Or could there be any other possibility apart from parents/family? Hi Anastasia - what a journey you've been on. Just the brief insight reveals lots of journeying. I’ve watched the video and it makes a lot of sense to me. I have a very strong ray 1, and with it I recognise the typical distortions that seem to accompany this energy. I can also see how the reptilian influence may find a foothold in these types of distortions and ‘nurture’ them for its own purposes. Over the past week, I’ve been doing the meditation that is offered of healing the wounded dragon, and it seems to have an unraveling effect. It also seems this reptilian energy serves as a veil to keep me from accessing key information about myself. As this energy has begun to soften, there is some other identity issue that I’m beginning to touch upon. I haven’t figured it out yet, but it has to do with my cosmic identity somehow, of who I actually incarnated as. It’s quite complex to navigate, this part of the journey. Veils in all directions, and unexpected findings behind each corner. When you mentioned ‘sexual realignment’, is there a specific method for that, or is it enough with the general guided meditation? Ps. I’ve also detected a great deal of coagulated energy behind my eyebrows. It feels really dense and hard, and when I try to see or move through it, it feels like I’m hitting a brick wall. A lot of my attention is being directed to this area right now. Implant?? Hi Anastasia - I would explore the principles of tantra in sexual intimacy - so engaging in sexual intimacy, with yourself, or with a partner, and then working to be absolutely fully present, aligned, but also in full expression and enjoyment. This will help ensure the soul comes through but in an aligned way. Yes it does sound like an implant. But work not to heavily focus just in that area - it sounds like you might have to defocus a degree, so as to soften it. I felt to highlight this forum thread again today... "Sword of Truth...Your Inner Inquiry". There's lots moving in the field right now and it's sure to be stirring up things within. If you'd like some support, do share an insight into what's moving for you right now and I'll gladly offer a reflection. The biggest karmic experience I’m currently working on is being betrayed by and excluded from a social group, in which I can clearly feel this group consciousness manipulating the people behind it to go against me on unreasonable grounds. Simultaneously, this consciousness has often been making me doubt myself; my sanity and self-worth, and has therefore managed to manipulate me as well. This has been a pattern from my past, as I had some incredibly traumatic experiences with this as a young teenager, from the age of 13. An adult woman in her 40s, who was like a second mother to me, went out of her ways to destroy me, whilst pretending to help me. I ended up being kicked out of the youth group of my church, with lots of people – including other adults – agreeing that this was the right choice, saying straight out that I was “a bad seed that needed to be sacrificed for the wellbeing of others”. I lost a lot of my friends, including my very best friend, who at the same time started dating my first boyfriend – who I loved very deeply – behind my back (the woman was behind this as well, as my former best friend opened up to me about years later…). The woman also went to my school and talked me down to my teachers. A lot of people kept telling me how I was the ‘crazy one’, and how the woman who went after me was ‘the victim’ (which is what she tried to manipulate everyone to believe…). The woman was so charismatic and apt at manipulating, and I frequently doubted myself and what was really real. When my parents realised what this woman was doing to me, they cut all contact with her and her family. This made her go against them as well, and she was soon trying to press charges against them and having them lose custody of me. My parents managed to get a lot of support from other people, and churches around my hometown were having meetings about what to do about the whole situation. A lot of the people involved in this have been coming to me years later and apologised, and they’ve seemed quite shocked that they didn’t manage to see what was going on at the time. It was clearly a strong group consciousness that formed itself – and it’s a bit scary to see how easily people can be influenced by this. This karma seems to manifest itself again now – although on a much smaller scale. I therefore feel invited to do my best to truly heal from this now. It feels difficult, as the past experience of this was so traumatic, and happened while I was so young – factors in which have contributed to make it a very big part of my identity. The current experience involves a group of my friends just suddenly excluding me, and making up stories that aren’t true as to why they are doing it. I’d actually been feeling that they had been treating me quite badly for a long time, and felt several invitations to express to them how I really felt. However, I kept doubting myself, as they were giving me mixed signals, and even though it often felt clear to me that they were crossing my boundaries, I just let it be… (Here is some major responsibility on my part…). Until recently, when I learned that they had for sure excluded me without even talking to me about it. I then couldn’t let it be anymore, and I therefore expressed myself and my feelings honestly – although compassionately. I received tons of projections and untrue stories back, which hurt me a lot. However, I decided to use the opportunity to release emotions from my past and process them – which led to a huge sense of relief. I further used the opportunity to express soul aspects that emerged in this situation, by expressing compassion whilst at the same time honouring my boundaries and staying in my truth, as well as expressing a wish to honour their truths. Expressing this was a powerful experience, and I could really feel my soul take joy in it all. I even started feeling that I didn’t care what their responses would be; I wasn’t attached to an outcome in the same way anymore. However, now I do feel some sort of attachment. The group keeps ignoring me and treating me quite badly, and I feel strongly that this isn’t okay… And it isn’t okay that they are making up stories about me that aren’t true to defend themselves. It isn’t okay that they are willing to let me doubt myself for their own sakes. They keep occupying my mind – and I just want to let them go, but it feels like my soul wants me to do something that I’m not seeing clearly… I was initially thinking that I would become friends with them again at a later point. But now I’m starting to remember how they were never really a good influence on me and my spiritual progress. For example, we would usually always smoke weed together, and they would talk quite badly about other people behind their backs – and then behave like those same people’s best friends in front of them. I would often join them in talking badly about others too – something I always deeply regretted, as it makes me feel sick… So, perhaps I’m being invited to let them go for real – not just for a period of time? And is there more to it than this? I’ve done so much emotional processing, and I’m sick of them occupying my inner world. I could even feel one of them coming at me with very strong energetic projections, which absolutely exhausted me, as I’m terrible at cleansing my energetic field and putting up boundaries. All of this has been especially hurtful since I’m now pregnant, and need more support than ever, but I’ve received clear signs and synchronicities that my baby’s soul is actually somehow involved in these manifestations and activations… This really motivates me to get in there and release this karma once and for all! I hope what I wrote makes sense – and if it doesn’t, it’s probably because it isn’t making perfectly sense to me either… I feel a clear connection between this current and past event, and I feel that the past event is more important in terms of the karma than the current one, although the current one might better point to what actions I’m meant to be taking right now to release it all… Any reflections would be very, very welcome! Greetings, it's good that you shared and so extensively. I can imagine many people could relate to your experiences. And they are pretty full-on, so my heart goes out to you. These are not easy situations to overcome. As always the question must be, "why did I manifest them?" And the simple answer is always to look at what such circumstances activate by way of feeling underneath. Because it's this polarity that draws by the Law of Attraction and creates life's circumstances. The first thing that jumped right out for me was this: "I have done a lot of emotional processing, I’ve expressed soul aspects". Okay, great. I sense what's needed is to get below these. So in the Breakthrough Approach, as you know, we're breaking through the layers of surface identity - where we react and create identifications to what we experience. But the roots of it are the source karma, which is 'underneath' these experiences. So the general way to go, is to first break through at an identity level, then to either sit in the space once this has cleared or else journey into the 4th density (as I've outlined below). Clearly several things are emerging creating recocurring patterns: betrayal is a big one. And even character assassination - I can empathise with this, I know just how unpleasant it can be when a group turns on you in that way. You also speak of 'being excluded'. Always but always we must consider how are we betraying ourselves? In what way are we excluding ourselves (or a key aspect of ourselves). I would say in this case 'what aspect of higher self are we excluding?' This would be as a vibrational feeling. Perhaps you're excluding your soul family (as subtle vibrations) and instead replacing the sense of lack by needing a physical group? When it happened to me, yes there was the surface level to work through, as you are doing. You get right underneath this, by realising that you don't really need the group that's attacking you. Why would you genuinely need something that would behave that way towards you? So work to express and let this go at the intellectual/emotional level. Then sit in the injustice of it. And what I did, was to fully let the attack come in. Because the attack was coming from a much deeper level in them - from the field itself, or rather ancient entities in the field. So sit with that and allow it to come in. Here's the self betrayal, because in truth, you will have overlooked the energy by needing something on the surface/physical level. Maybe you didn't trust your ability to connect in the field? In which case you regain that by going back deeply into the field. In this way the attack can help you, providing you let yourself feel it. Because this kind of attack, how you describe it, will will strike at the deepest layers. I felt it like stabbing knives. But I didn't resist. Just allowed it to happen. Then to contemplate the meaning of 'injustice'. What does that mean to you? And why would you expect the universe to be 'just'? Is there an expectation that it should protect you - 'you' as in the ego you? 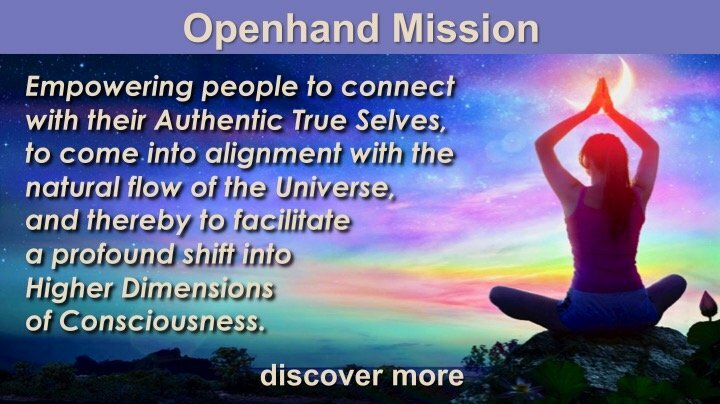 Maybe there's a confusion with the universe bringing you from distortion to alignment? So it will work to 'attack' the distortion in you, which will feel unjust within what it is appearing to do. Work into this. The attack can be deeply healing and cleansing. Because it can only strike where you contract or retract in some way. So feel deep into it. Once you feel you've worked through the surface layers by expression and deep acceptance, then sit with it again and work to feel the subtle vibrations. In the beginning they'll be hardly noticeable. But the more you put your attention on them, the more they build. When you can feel the vibrations, lie down, relax, let them wash through you. Soften the body right down into a kind of dream state. Let yourself journey through them. Maybe visions and dreams will come to you. Let them activate and feel into them. Totally accept them - this way you'll process the underlying karma. Then expand out through it. In which case it can become blissful. Amusing even. Such attacks can take you all the way to the deepest levels of The One, experientially, and therefore are a blessing. Then there's afterwards. There's the requirement in future to establish natural boundaries. Forgiveness will be necessary. But that doesn't mean you should necessarily forget, nor to trust. We hear of 'trusting in the Universe', yes. We can trust that the Universe will bring situations to alignment and support the True Self in all. But that doesn't mean we should blindly trust those that are carrying distortions that might willfully act in our detriment. For me, trust is earned from experience. And likewise, if someone betrays that trust, then I can forgive, yes, but depending on the depth of the action, it could take a long time to forget it - in other words to completely dissolve it. It makes sense to be wary of someone, or a group, if they've willfully done something to your detriment. They could change, yes, but that would have to reveal itself by their actions. And so the memories create naturally occurring boundaries, which are necessary, as long as they don't harden and become identity. I trust this helps a degree. This sword of truth. This reminds me of how many times Ive looked back and in my minds eye Ive seen myself on the floor. Emptied out, bloody and broken. Just wanting with everything I have in me to give up and so I do. We oftentimes want to think we want what is best for each other but even the best of the best is the cruelest of them all. I sure hope I'm done seeing cruelty from others, I sure hope Ive learned everything I came here to learn. I sure hope I never see myself again attacking anyone else, that's the hardest one ever for me to know and see. Then I pick me up and look myself in the eye, find my way back to me. I don't need to see the whites of anyone else's eyes, just my very own. I don't want to see myself being murdered by another, or hurting someone else. Wondering every time why people poke their weaponry at that which they don't understand. Every time thinking I'm sure now I've really just seen it all. Truth always being told and truth always being known. Ive experienced this church thing too. Seen cruelty and horror, held my head as high as I could for myself while sitting amongst other people in those buildings. I got pregnant with my second child, a moment that I am thankful for yet had no choice of my own in. I was made to go tell the pastor of the church of my pregnancy, of my unwed one that is. I sat there hearing unkind words as daggers thrown my way. I was apparently alot of things that were not considered pure. I left that day knowing they did not know the truth, that in the end it was not going to matter anyways. For nine months I held my head high, hearing them whisper. Hearing their minds truth, seeing the whites of their eyes as I smiled the best I could at them. Watching the righteous and yet total arrogance of it all. Yet I smiled, not to smile my way through the pain but because my hand was being held and I could feel that. That I made a choice from it and it was my very own. I keep that comfort inside me, that ally to myself. I paved a way though, for me. I removed that puritan of an old age thoughtform from my life, the judgements cast upon me for having babies and not being married. I like looking back at that moment, it reminds me how much more free I am today. This was the start of me just wanting to say to everyone I encountered, God is not in a building. The God of you is absolutely everywhere and you are there with that. Some like hearing it, others not so much. Even I don't completely understand it, the one in me. But I'm really just thankful for the opportunity to do so. I'm really thankful for the thought/idea in my head that I already know all of this that I need or want to know, that there is ever so much more and that I have been lied to. I used to hear and even believed the idea of "Life! Aint nobody getting out of it alive." Well now that's just a pile of whatever. Because this right here, right now is just another moment in time and after all of this has been said and done as it has been a gazillion times before of being alive, there will more for me because I am an amazing immortal being just being housed in some pretty awesome skin. Thank you so much, Open - everything you wrote touched me deeply! It's very helpful, and I've already started to dig deeper in there. Again, thank you so much! I feel so relieved and excited to finally dig into this. First of all, thank you for having the courage to open up and share so intimately with us. It is a gift to all of us to be able to read about each other’s journeys and challenges. It helps us all along the path. When I read your first post, I have to admit I didn’t really resonate that much with your challenge. Except for the part of being harshly judged and excluded by a group of people/peers. I had something similar happen to me in high school, when a false accusation from one person led to me being excluded by my entire high school class. Nobody would speak to me except to call me ugly names or verbally abuse me in some way. I learned a lot about the dynamics of Group Consciousness during that time. Now that I read your last post though, I suddenly see several common threads that I feel I want to share with you. “God will give me justice”. After my high school experience, I lived a big chunk of my adult life with the subconscious need/ambition that I had to achieve something ‘special’ that would serve as some kind of revenge or comeback for what they did to me. And I expected the Universe to actually help me with that. LOL! It wasn’t until after my awakening that I finally identified this subconscious contract I had written with myself back then and finally tore it up. What a relief it was! Suddenly, I didn’t have to achieve anything extraordinary any more, which subsequently led to me feeling so much more at peace and content with where I was actually at in life. That’s a biggie for me! I’ve had several experiences of being some sort of “hybrid experiment”. In fact, I noticed one of my old sharings is actually further up on this very thread. When I read Divinicus, I read that part about the Pleiadian original seedings over and over. It stirred layers way down in me, and a day or two after I had a deep regression into being one of these original ‘experiments’ and how extremely difficult and terrifying it was. I kept staring at the words “human” and “DNA” and I remembered my regressions into being a hybrid experiment and I felt very strongly that the answer lies there somewhere. It seems my first time in a human body was so traumatic, I still want to disconnect from the human experience altogether. Disown it somehow. My recent explorations of my connection to my Soul family led me to express through some creative writing. Synchronistically, I was just about to go into a different thread to post it when I stumbled across your post and felt I wanted to read it. I’m glad I did. Now that I’ve read it I feel that so much in my poem relates to what you have shared. So if you feel drawn, I’d like to invite you to read it. Perhaps there is something in there that will speak to you. After I post it, I will paste the link in this post so you can easily find it. Wow! You amaze me, girl! That was a really powerful sharing. This part sent ripples of strength UP my spine. Then I pick me up and look myself in the eye, find my way back to me. I don't need to see the whites of anyone else's eyes, just my very own. Thank you all for your open and honest sharings...I don't have anything specific to reflect back, but it is always so supportive to witness and feel others journeys. Victim Consciousness has been rising a lot for me...it gets triggered by one particular person who is actually very caring and supportive of me. When I am in his presence, waves of anger, abandonment and neediness start coming up and wanting to be projected at him for "doing this to me"or there is self blame for creating this...and then the sense of hopelessness and despair start to swamp me. I am beginning to catch it and dive deeper through the feelings of anger and desperation...the anger at myself for choosing to disempower myself and give up my sovereignty in exchange for protection and belonging. It's helping me to realize that I really couldn't have chosen differently - it wasn't conscious - it felt completely right at the time. I feel this is a major karmic imprint for me...giving up on myself and taking on a patriarchal protector....I wonder at the Orions/greys and my connection to those experiences. The blame is a big one to work through as it just keeps me stuck in disempowering loops...its energetic and brings up intensely desperate feelings of decimation and physical/emotional suffering. It's interesting to find myself in the energy that encouraged the disempowerment...the discomfort with vulnerability that is quelled through a "protector" but also the dampening of my own soulful will and passion. I feel infusions of fiery, passionate, engaged energy and notice how the disempowerment/need for protection smothers the fire...feeling that fire is motivating me to find greater depth of surrender into the vulnerability. Came back to add some interesting synchronicity... I spent the day in the garden, reorganizing, pulling up old stuff and putting in new.... felt very inspired to see beauty and harmony. As I was digging up a rosemary bush to put in a new location, I found a silver key on a ring.. the key had the word Ace on it.... ace is both the 1 and the 13... it felt to me that it was about "acing" this energetic challenge...digging it up at the root. I think the vulnerability in the 'pregnant pause' is indeed a big one for us all. Often when we follow the flow to surrender, there's a subtle expectation for the Universe to produce - but then often there's just deeper quietness and an invitation into that. So that's why this space/moment became easily fill with the patriarch/protector. I would say next time, explore just into the space itself and be clear not to need any kind of outcome or arising at first. Expand into that space. With the vulnerability can also come this place of awesome okayness - "okay, so bring it on, whatever happens!" Explore deep into the core of this - the core of you. You're literally 'tunnelling to the source'. To me there's great warmth there, deep acceptance, and then feelings of clamness and empowerment. For me, I had to be careful not to focus too much on this. Or else it seems to override the emerging flow of creative soul. So I work to maintain a 50:50 perspective - 50% looking into this place constantly and 50% working with the arising. But if you're not yet fully feeling that deep sense of peace and acceptance in the vulnerability, then maybe explore more into that space first. Love the 'acing' synchronicity by the way. You will be happy (maybe) to know there has been plenty of stirring the old stream of karma recently . I had a social engagement with a group of my colleagues recently .One of them is definitely a Soulmate . Even a short interaction with him has me feeling shaken and stirred and feeling several layers of feelings emerge. It's very alchemical in that sense . It took me a while to feel it ,but I connected to some very old karma. I had mentioned once before feeling a constriction within my throat . Open mentioned before it was because of being strangled in a past life - I think this guy did it ! I went deep into to it a couple of days later during yoga. There was a lot of dry heaving and choking and after a deep shaking in my body as I lay down in Shavasana to try and integrate it . Waves of energy seemed to be unlocked and went into the palms and soles. The Universe is fed up of being subtle! "The Universe is fed up of being subtle". Love it LOL - indeed it is! You said "Explore deep into the core of this - the core of you. You're literally 'tunnelling to the source'. To me there's great warmth there, deep acceptance, and then feelings of clamness and empowerment." Yes, I do feel this inner sense of warmth, acceptance and calmness though, it wavers in cycles when I find myself getting invested and attached to needing a future outcome of external safety and security...I meet the feelings and soften into it eventually. When I begin to bring the focus to the movement of creative energy, there seems to be too many options. One thing will begin and I will head down that direction and focus energies in that way and then the energy will dissolve and start down another path - on an almost daily basis. I find myself judging myself for lack of focus and commitment - and I wonder at whether it's just about letting go of needing to bring to completion. I wonder at the typo of "clamness"in your post above...the clam has some interesting characteristics...the shell to me is about boundaries and home and yet they are soft and vulnerable inside. How important is a "field of play" with some sort of boundary? As I write this an armadillo just walked through the garden =). I have been building new gardens all week and overcome massive challenges in an area of the garden that I could not seem to find flow in. The key was finding a particular edging to outline the areas and now it's all filling easily with plenty of grit physically, but lots of ease and joy as the designs come through. I wonder if these sort of outlines for creative expression are something distorted in the creative process? It's like getting a shape - a general idea and then everything can funnel into that shape with ease. Does that makes sense? Without the general shape I can't seem to stay with anything very long and maybe that's ok too. Thanks for any feedback on this process! Felt to share this. The last few days I have felt a deep ache in the left side of my heart ,chest and infact the entire left half of my upper body . I have deepened into my exploration of it recently. It was prompted by a very silly happenstance that pushed me deep into being triggered( karma's calling card) . In deep exploration I have felt in to feeling being imprisoned and a deep sense of betrayal . I could 'see' the little window on top of my prison cell and I have a feeling in that past life that I was wrongfully imprisoned for a long time. As I felt into this experience I had a very strange feeling that some energy got released that was organizing certain aspects of reality right now. And then something very strange happened . On the left side of my body ,I saw black snake energy coiled around golden structure . I interpreted it as some karmic energy that has been usurped by the black snake energy . I have not been able to breathe I to it fully yet. On my way to pick up my daughter from my mom's house ,I saw many many 7 sequences. Also lots of 1 and 2 sequences. Also ,interestingly I saw a machine trying to penetrate through dense rock ( they are constructing a highway ) . Any reflections are welcome . The black snake energy seems to be important to share . Hi Megha. Sounds quite clearly of intervention blocking kundalini, which I'd say the 'golden structure ' represents. I think I am getting better at realigning Grey's( writing this to seek reflections) . I think within my field they are resonant with the overwhelm I feel when there are just too.many emotionally charged things happening and I am feeling swamped ( an interesting enquiry in itself) . So again I felt that yesterday . Opened my heart and softened into my overwhelm as well as the sense that I am never going to be 'enough' . They Grey's were then dispatched into a field from my heart to the angelic realm. Quan Yin showed up in my minds eye. I will confess ,I didn't think I could do all this at all and sometimes I wonder if I am just kidding myself about being adept at all. You'll find it's a totally natural apptitude Megha - it just comes when you have the sense and idea of what to do. Maybe explore though what it is you're doing on a day-to-day basis that leaves you feeling overwhelmed? I have looked into why I feel overwhelmed regularly . I think it seems from me being very harsh on myself. A lot of self judgement about how I should be doing ' more' . With emphasis on the doing rather than the Being . I sense this is Old stuff coming up that regularly died actually . Yes I get this one - the feeling that we could be doing much more. But the more we settle deep into being, the more we see just what a deep impact that has, even though it might not always be immediately obvious. I don’t have any personal reflections to add, but am wanting to tell you that I get EXACTLY what you mean, and I’ve been in a very similar place so many times. Sometimes stuff feels so subtle I question its reality, and whether I’m just being over-imaginative/kidding myself. Also there with you on Belgium too - it has not been an easy thing for me or my wife. But like you said “bring it on.” Looking forward to seeing you there!